Washington Irving Fans, Eat Your Heart Out! Another hot and muggy September has reared its ugly head in this inferno called Austin. That means I’ll be reading nothing but spooky ghost stories all the way through December! This year, I’m jump-starting the witching season with this fun YA thriller filled with ghosts, leering jack-o-lanterns and a sword-wielding fiend on horseback. Sounds promising, but yet I went into this book with cautious optimism. After attempting to watch that blasphemous Sleepy Hollow series and suffering through the first installment of the Hollow Trilogy, I know that there’s so many ways a headless horseman story could go wrong. Oh and please don’t get me started on the Tim Burton movie. Who in their right mind would cast Johnny Depp as Ichabod? I’m sure poor old Irving is still rolling around in his grave over that one. Here’s the thing. If you’re going to retell old Washington Irving’s masterpiece, you better use the spooky setting to your full advantage. Irving and Ray Bradbury mastered the art of intoxicating readers with lyrical descriptions of fall landscapes. Contemporary authors all seem to pale in comparison. That is until I took a chance on Richard Gleaves. He is clearly a huge fan of Irving’s work, and it shows in his atmospheric descriptions of Ichabod Crane’s stomping grounds. His prose swept me away to the little hamlet along the Hudson River, where I could hear the soft autumn breeze wafting through the trees, smell the smoke drifting from burnt leaves, and see the moonlight shining upon spooky boneyard. Such fun! With a hip hip and a clippity clop, he’s out looking for a head to chop! The genius of the story, is the parallels between the modern day characters and their direct descendants—Brom bones and Ichabod Crane. Our hero Jason Crane may be long and lanky, but he’s much cooler than his social-climbing ancestor. As expected, he falls in love with Kate (the new Katrina), who is unfortunately hooked up with the modern day Brom Bones, a school jock with lots of skeletons in the closet. Of all the multi-dimensional characters in this book, I most enjoyed Jason’s newfound bestie—a wannabe Robin Williams who spends most of his waking hours manning the grounds of the local cemetery. This actually comes in handy when Jason finds that his grandmother is being conned into digging up a veritable Pandora’s box that has been entombed in the family crypt for two centuries. I’ll save you from the gory details—and I mean that in every sense of the word! But I will say that this is one thrill ride that will get you in the Halloween spirit. 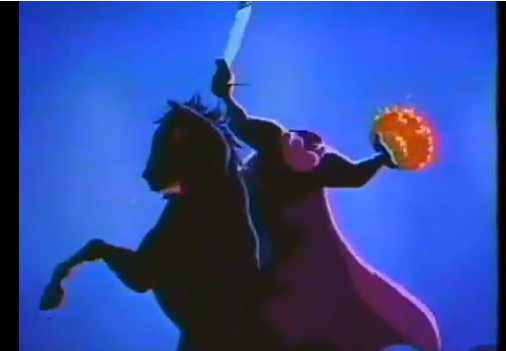 Ever since I watched the Disney version of Sleepy Hollow—a masterpiece onto itself—I’ve been obsessed with this story. It was such a treat when Gleaves invoked bits and pieces from Ichabod’s last ride into the climax. I won’t tell you any more, but I will say that fans of the Disney classic will be most amused. 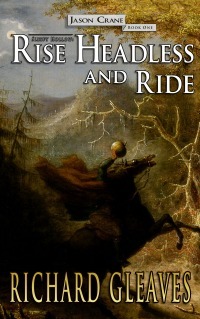 Posted on September 21, 2015 by Bubble Bubble Books and Trouble •	This entry was posted in Mysteries, YA Fiction, YA Paranormal and tagged Legend of Sleepy Hollow, Richard Gleaves, Rise Headless and Ride, sleepy hollow, Washington Irving. Bookmark the permalink. Thanks for the great review! I hope you’ll check out the sequel, Bridge of Bones. Book Three General of the Dead, which wraps up the trilogy, will be published hopefully by this Halloween. Thanks again. Richard Gleaves. You better believe I will! Thanks so much for checking out my review. I’m a fan!! I’m a fan of your blog now too! Swing by the Jason Crane Series page on Facebook and say hi. I give away free stuff all the time and there’s constant historical tidbits and maps and updates on future books. Happy Halloween in advance. Since I’m a self-published author with no publicist or publishing house or advertising, I am always most grateful when someone leaves an Amazon review or blogs about my books. Word-of-mouth is the only way the work gets seen. Thank you again. I’m debating on reading it now or saving it until Halloween. Not sure if I can wait that long!